Part 4 of the Rhône series. My love-affair with both Muscat & Grenache. My first flirtation with both Muscat and Grenache were both Australians. Over the years, my relationship with Grenache has been steady. I have fond memories drinking heady Grenache made from 100 year-old vines planted in the Barossa Valley. While travelling in France, I encountered both Banyuls and Rasteau. Both wines are made through fortification, which is the adding of neutral spirit to the grape must to stop the fermentation, obtaining a wine with at least 15% alcohol and some sweetness. This opened me to a different world of wines and led me to pursue the Provence route to understand this grape better. However, with Muscat, the relationship has not been as progressive as Grenache. I first came to know of the name Muscat when I first began wine at 17. I remember the days when I used to down bottles of light, refreshing and saccharine Moscato from Brown Brothers. Subsequently, I developed a proclivity to down bottles of Asti from Italy. I have always drunk Muscat as a sweet style but never dry. Like a child who eventually outgrows sweets, I grew weary of Muscat’s lack of depth and complexity, its one-dimensional flavour profile of grapiness and soapiness. In Australia, Muscats are made everywhere, from the King Valley to the Hunter Valley. Capercaillie from the Hunter makes a sparkling Moscato that works brilliantly as a summer drink. Just like my initial poor impression of rosé, I saw Muscat as an easy wine that vignerons could sell to young, impressionable wine drinkers with a sweet tooth. It was a money-generating machine but for me, a wine that could never be taken seriously. While living there, a friend of mine introduced to me a bottle of Muscat of Samos from Greece, wine made similarly to Banyuls and Rasteau. That made me realise that there is good Muscats were waiting for me in Europe. In Europe, I spent time plucking Muskateller, which is what the Germans and Austrians call their Muscats. The golden grapes were sweet, and flavourful, like honeydew from heaven. They were the best breakfast I had in Austria. In the 1st Century, Pliny the Elder called Muscat the bees’ vine. Nothing was further from the truth. Each time we approached the bins full of juicy Muscat grapes, bees were always circling around the bins, looking for an opportunity to latch on to the sweet nectar of Muscat. It was in Austria that I drank my first dry Muskateller, and it was divine. The Rhône to me is one of the few wine-producing regions in the world where there is a wine for every season. Like Port, I find myself sipping a nice, warm Rasteau at 14° Celsius next to the fireplace during the winter, digging my hands in a bowl of roasted walnuts. Some would drink Rasteau not as a wine to end the day, but as an aperitif at 12°. In the summer, nothing beats a chilled white Muscat Beaumes-de-Venise at 8-10° Celsius as an aperitif with some cantaloupe, or with some foie gras and smoked ham. You would think that as a sweet white wine, you would drink it as a dessert wine and it happens at times but in the Rhône, it is tradition to serve it first and have it accompany a fruit salad. At 12-14° C, the wines are beautiful with blue cheese, tarte tatin and dried apricots. The French are quite pernickety about the order which they serve their wines. When I was in Burgundy, I was refused several times by vignerons when I asked to taste their white wines. They saw I had been drinking red wines and turned me away, with the belief that I would not be able to appreciate their white wines after having a few Pinot Noirs before that. Here, in Beaumes-de-Venise, the Venisians are very proud of their Muscats. So much that they served me a red Gigondas first and a dry Muscat second. They believe that the acidity of their Muscats would cleanse my palate from the forceful Gigondas but I believe that the Venisians are more relaxed than the Burgundians and know how to have a good time. The question never ceases to amaze me as to what circumstances caused a region to give birth to a specific style of wine style. I am not referring to grapes here. Most of the time, a specific grape is planted because it is found to be able to ripen well in a specific climate with the proper temperatures and sunshine. I am referring to a wine style like a sparkling wine or a fortified wine. For example, before global warming, grapes in the Champagne region would have a problem ripening because of the extreme cold conditions up there. This produced grapes with such high acidity and little flavour that it is as if one were drinking battery acid. It did not matter. With the addition of sugar, yeast and a little aging, a sweet drink with bubbles and complex yeasty aromas was born. This process balanced out that acid and gave the wine extra flavours. That was the way Champagne tasted before the introduction of the dry styles we have today. Champagne was discovered by accident and the Champagne producers were trying to eliminate the bubbles in their wines. Eventually, they found that it was a good idea to continue in that accident. In Rasteau and Beaumes-de-Venise, nobody I have talked to knows exactly how what circumstance led to the fortification of these two wines. We do know a few facts. In 1934, Rasteau producers were experimenting with fortification before being an appellation in 1943 for its VDN and becoming an appellation for its reds in 2009. 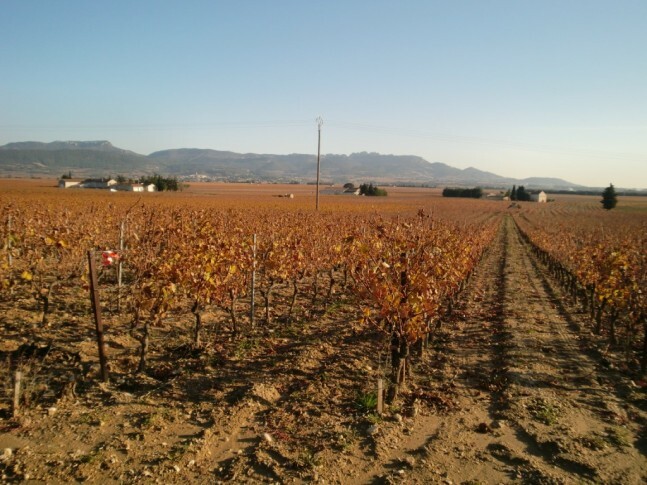 Its reds are blended with a minimum of 50% Grenache and the rest being a mix of other grapes such as Syrah and Mourvèdre. As for Muscat, the history goes back much further. Greeks brought the grapes in 6th Century B.C and established Beaume as a trading post. Pliny the Elder records the Muscat grape in Beaumes in his book of Natural History. The wine was also used in the crusades during the 13th century and was also supplied to the Pope after his move to Avignon. Before being known as the village Beaumes-de-Venise that we know today, the area was called the Comtat Venaissin (now known as the Provence-Alpes-Côte d’Azur region), which was the region surrounding the city of Avignon. Comtat means country and Venassin refers to Venasque, the former capital of the regionwhich replaced Carpentras as the capital in 1320. The village of Balmes was eventually changed to Beaumes de Venisse. The word “beaumes” orginates from the Provençal word “balma” meaning caves as there are many caves located in the hills of the region. The village evolved to Beaumes-de-Venise and obtained its appellation status for its fortified Muscats in 1943. Its reds, whites and rosés became an appellation in 2005. Both wines are made in a fairly similar way. The grapes for Rasteau VDN are three different colours of Grenache – the white, pink and red. For Muscat BdV, the Muscats come in three different colours as well. Selecting the right blend of different Grenache/Muscats plays an important role in influencing the final wine. For example, red Muscat is used for its power and body while white Muscat is used for its elegance. Both Muscat and Grenache are harvested at a minimum of 252 g/l of sugar. Adding neutral spirit (96% abv) occurs after fermentation of the grape must at around 5-7% alcohol. The minimum alcohol limit of both VDNs is 15% and the maximum is 21.5%. Only 5-10% of the alcohol of the final product can come from the added spirit. The treatment throughout the production both VDNs are not allowed to go beyond 40° Celsius. Slight differences do exist in both VDNs besides the grapes used. The minimum residual for Rasteau VDN is 45 g/l while Muscat BdV VDN is 100 g/l. “Blanc” and “Grenat” have to be aged in a reductive environment till the 1st of May in the year after the harvest with a minimum of 3 months in the bottle. “Blanc” can only be made with Grenache gris and Grenache Blanc. “Amber” and “Tuilé” goes through oxidative aging until the 1st March of the 3rd year following the harvest. “Hors d’âge” goes through 5 years of aging following the harvest. “Rancio” needs to meet the requirement of the rancio characters that can be found in tawny ports; that walnut and oxidative character. For Muscat BdV VDNs, the wines come in the form of white, rosé, red and even barrel-aged styles. The vineyards of Rasteau are near the villages of Sablet and Cairanne. The soils are poor consisting of calcareous clay soils with some sand. Elevation is from 200 to 400 metres. 70% of the vineyards having a southern exposure on hills to get high levels of alcohol and protection from the Mistral. Average Yields are 26 hl/ha for the VDN and 33 hl/ha for the village cru. Irrigation is not permitted on vines meant for VDN. Grenache is typically picked at 17.5% Baumé to make VDN and has usually comes from 50 to 90 year old vines. Like Muscat BdV, the hills of Rasteau are shaped like a horseshoe where the sun concentrates in the centre to give the vine more warmth. Typical plantings are N-S orientation with 7ft row x 3 ft vine spacings. Muscat BdV has a climate that contrasts Rasteau. Its soils consist of calcareous clay in the north but sandy loam in the south. 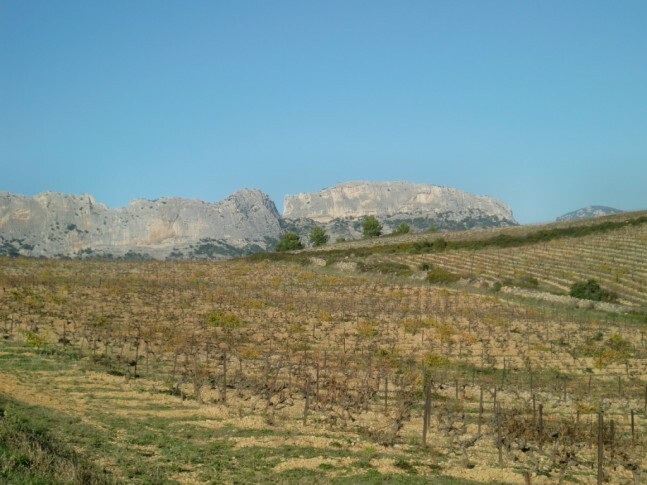 The Muscats are planted on the south-facing slopes of the Dentalles de Montmirail, giving protection to the vines from the Mistral. The white limestone slabs of the Dentalles act as a sort of mirror during the summer to reflect heat from the sun, assisting in the ripening of Muscat. 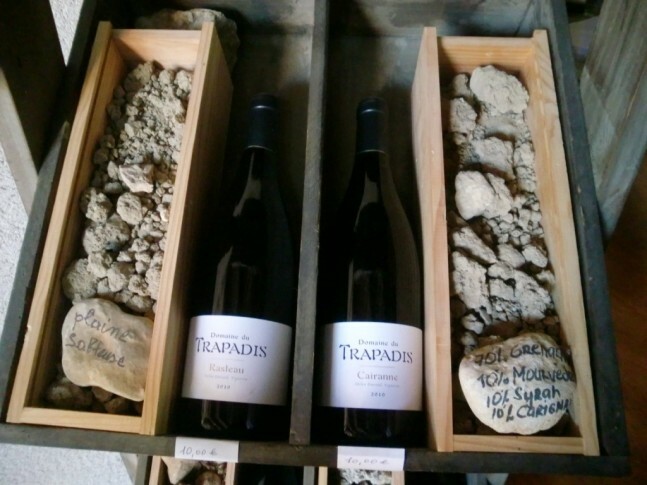 The other grapes are planted on soils which contain marl and some ochre, gypsum, and red clay, forming a Trias. The white grapes are usually planted on the sandier soils. Vineyards are being planted from 100 to 500 metres. Typical plantings are 7 ft row x 4 ft vine spacings on a Cordon royale trellis system. Wild boars can be a problem in the region. Transparent green. A soapy smell, light floral aromas, peaches, wintermelon, medium (+) intensity. On the palate, grapey, sweet and acid, light honey, long length, sweetness prolongs the length. Aged 18months in225l barrels. 1/3 new oak, 1/3 one year old, 1/3 2nd year oak. Transparent yellow colour. Cedar nose, lacquered, stone fruit, caramel, vanillin. On the palate, stonefruit, cedar, vanilla, slight chardonnay feel but lacking the same fruit characters of muscat, honey, sweet. An interesting muscat with the oak. Transparent purple colour. Nose of chocolate, dried figs, medium intensity. On the palate, strawberry, dark chocolate, sweet, med(-) length. The grapes are partially late-harvested. Spent 12 months before release. 200 000 bottles are produced a year. The vineyard is 120 acres and its vines are on a steep rock slope of the Dentelle de Montmirail at 260 meters. Its vines are an average age of 30 years. The grapes are harvested on the first week of September. Transparent green. Muscat aromas of soap, grape, floral, medium intensity. The palate is off-dry, med(+) acid and alcohol, muscaty and floral with medium length. This is from BdV region but since they do not produce dry muscat, the wine is labelled as a VdPay. Transparent yellow colour. Floral nose with soap, full blown aromas, lemon, light lychees, orange peel. ON the palate, sweet, lemon, orange peel, little lychees, med(+) acid, long length, orange rind finish. Super! 124 g/l of sugar in here. Transparent yellow colour. Floral nose, less intense than 2006, lemons, pineapples. On the palate, sweet honey, hints of lemon, caramel and honey finish, long length, nuts and crème brulee, a lot more complex on the palate than the nose. Semi-opaque garnet. Nose of red berry fruit, very fruity, black cherries, liquorice, med(+) intensity. On the palate, lots of heat, spice, coffee, med acid and length, blackcurrant pastis, black olives. 30% aged in old 5000l foudre and the rest in stainless steel. Opaque purple. Nose of pepper, spice, herbs, med(+) intensity. On the palate, complex, structured, full of flavour, long length and spice in the back, a very complete wine with bramble fruit and juiciness. Opaque ruby colour. Earthy nose, farm aroma, feral, developing, light band aid. On the palate, cloves, band-aid, farm, rustic, long length with a feral back palate with dark plums, med(+) acid. A very rustic style with black pepper in the back, very long length. Opaque purple. Nose of chocolate, wild cherries, floral, spicy, lifted aromas, med intensity. ON the palate, sweet, med(+) tannins, med acid, confectionary, raisins, long length, chocolate raisin finish. Opaque ruby. Nose of confectionary, cinnamon, raisins, med(+) I, savoury notes. On the palate, med(+) acid and alcohol, honeyed, very complex, sweet, lots of flavour, a wine which is very hard to describe in terms of flavour profile and texture, long length. Potential alcohol of 23%, 1 ha produces only 700 bottles. An excellent wine that is highly recommended but in terms of pricing for a ½ bottles, it is very high. Garnet colour. On the nose, chocolate, mushrooms, earth, medium intensity. On the palate, sweet, dark chocolate, light cherries, med(-) acid, med(+) length, finish is propped up by acid showing only in the back. Semi-transparent ruby. Light aromas of red fruit and cherry, still slightly raw as in newly bottled. A med(+) acid palate, med(+) tannins, powdery texture, spicy with an inky aftertaste and charcoal flavour. 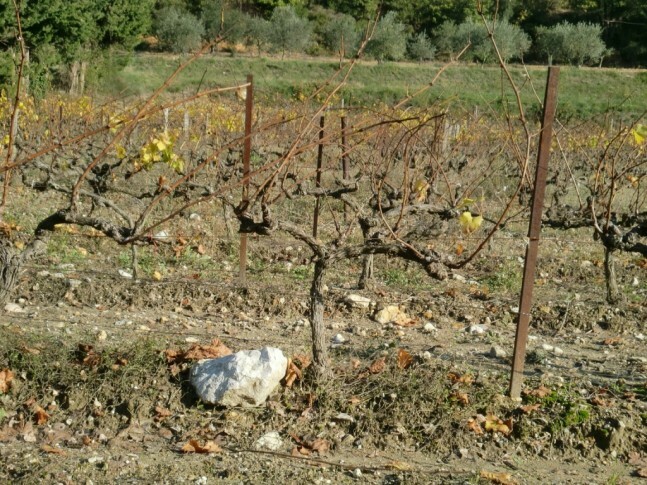 On rocky soils at 300m, Red wines of BdV became an AOC in 2005. No barrels have been used here.